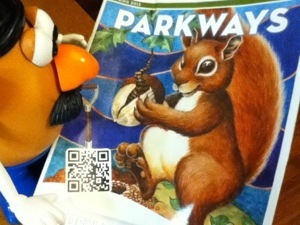 Today I was looking thru the Parkways magazine that the Five Rivers Metro Park puts out for the spring season. The parks are celebrating 50 years this year!! We can walk, hike, ride bikes, take classes, take pictures, look at nature, even look for owls. Looking forward to our first trip to the park this spring. This entry was tagged 365, adventure, blogging, fun, kid friendly, muse, parks, picture a day. Bookmark the permalink.